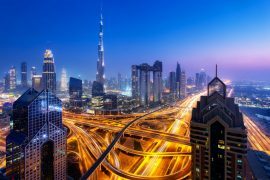 Planning to spend 5 days in Dubai, one of the most unique cities in the world? Dubai is a land of glitz and glamor, an over-achiever and a city that is not afraid to show off its wonders. The city is bustling with an excellent choice of man-made wonders juxtaposed with natural attractions creating a sprawling metropolis with plenty of things to do. It’s the type of place that will surely treat your case of wanderlust, appealing to all types of travelers. Do you want to visit historical sights? Explore the most incredible skylines in the world? Gawk at the futuristic architecture? Enjoy the food scene? 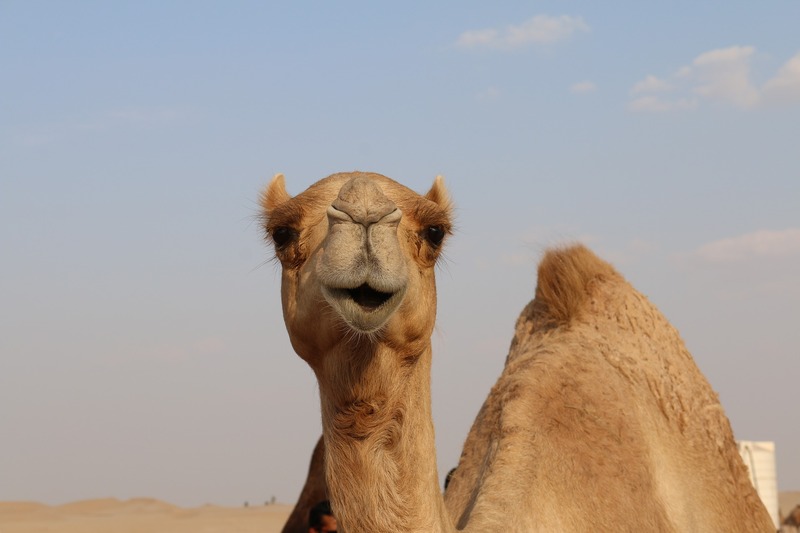 Go to a desert safari? 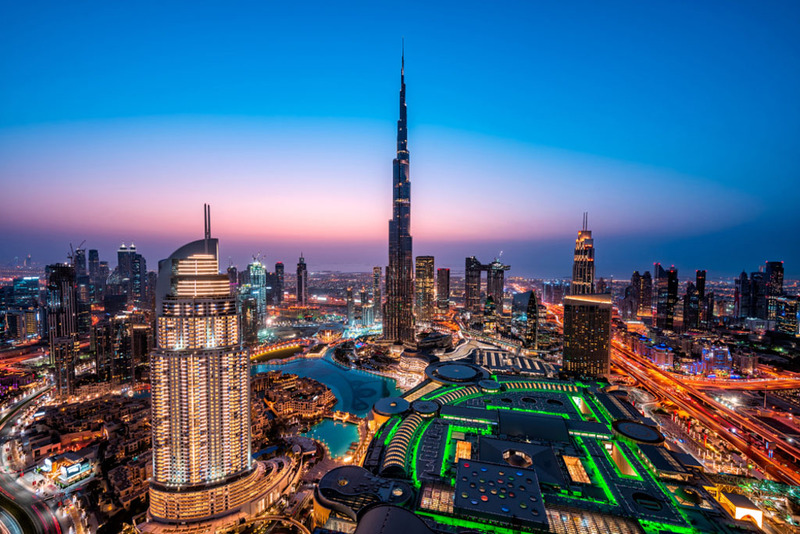 You can do all of that and more in Dubai, and with 5 days at hand, you’ll easily be able to explore all of the city’s main attractions and get a taste of the multi-faceted city that has blown away many. 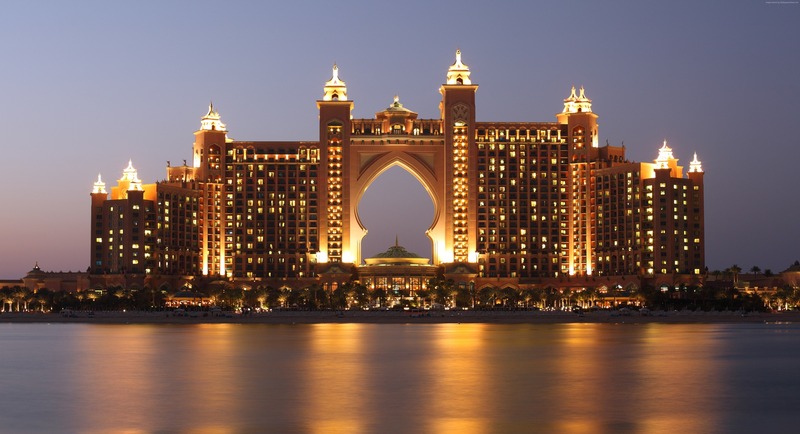 Save up to 55% on the cost of admission at 3, 4, 5 or 7 attractions in Dubai. Benefit from discounts on tours, at theme parks, on museum entrance and more. 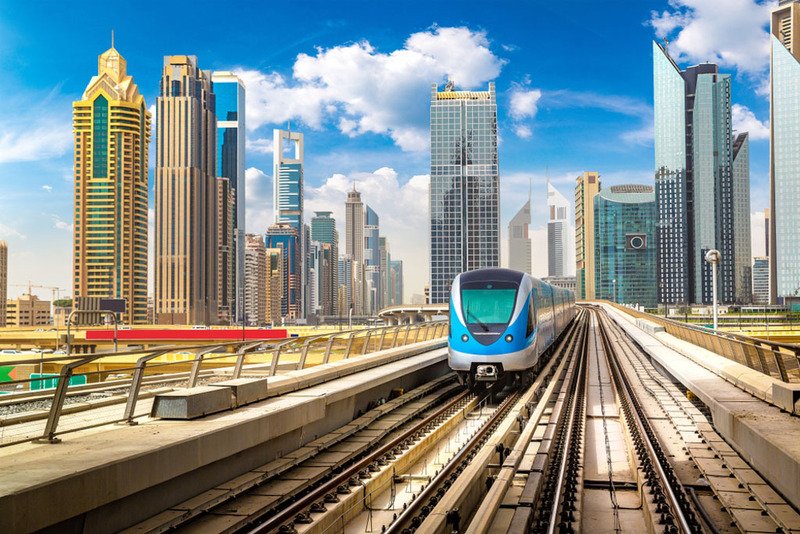 Book your Dubai Explorer Pass today! Upon arrival to Dubai International Airport you can save time and money by pre-booking a private transfer to hotels in UAE. Book your transfer here. 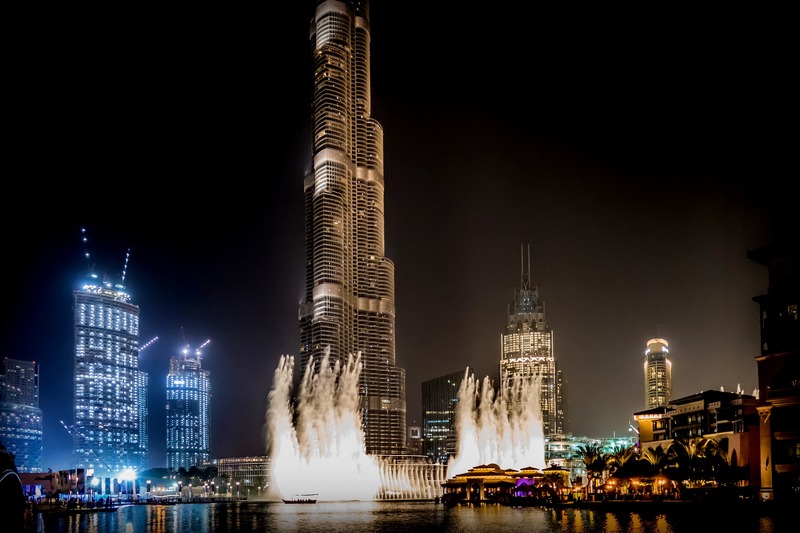 The first day in Dubai should be spent exploring the top attractions, so you can get over that itch of seeing all the monuments you’ve been long hearing about. 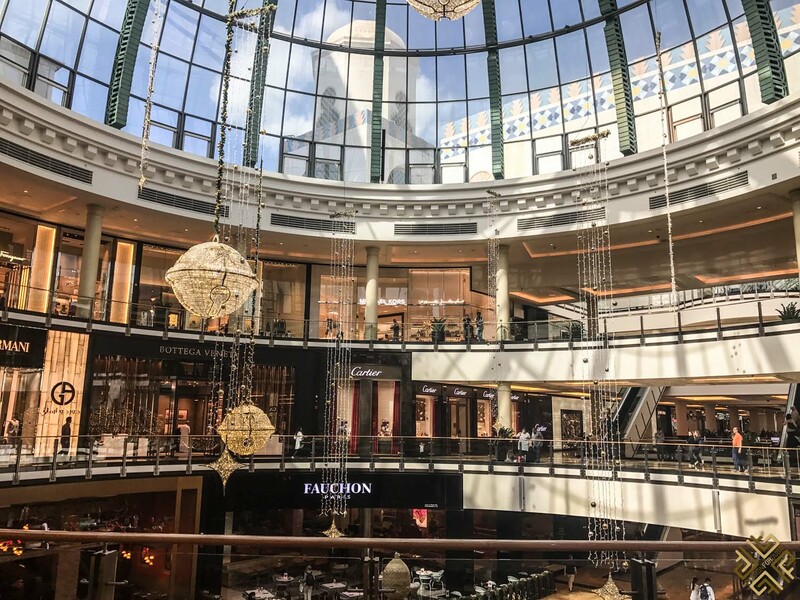 Malls in Dubai are a whole different ordeal, and typically when you visit a city for the first time you’re not really set on going to its mall, but Dubai Mall is not your typical mall, it’s Dubai’s main entertainment and cultural hub. 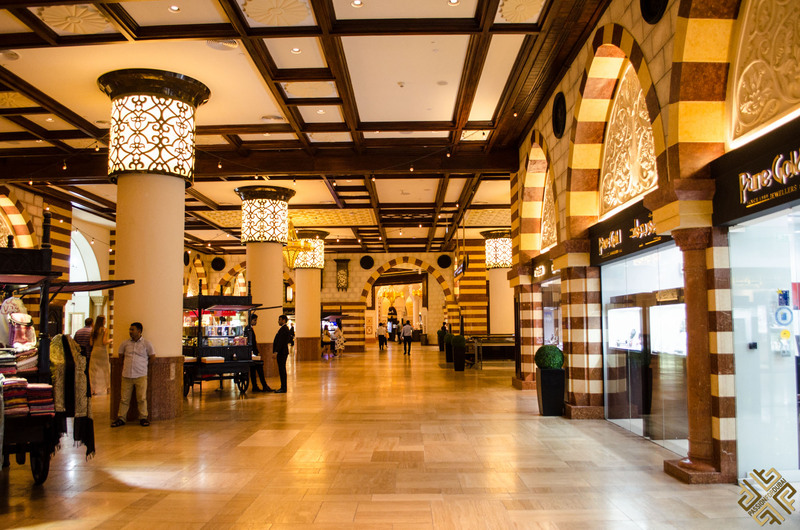 You’ll be spending at least a few hours in there, and you’ll find that every floor offers a different array of stores, there are countless food shops, souqs, and much more. After all, this is the biggest mall in the world. 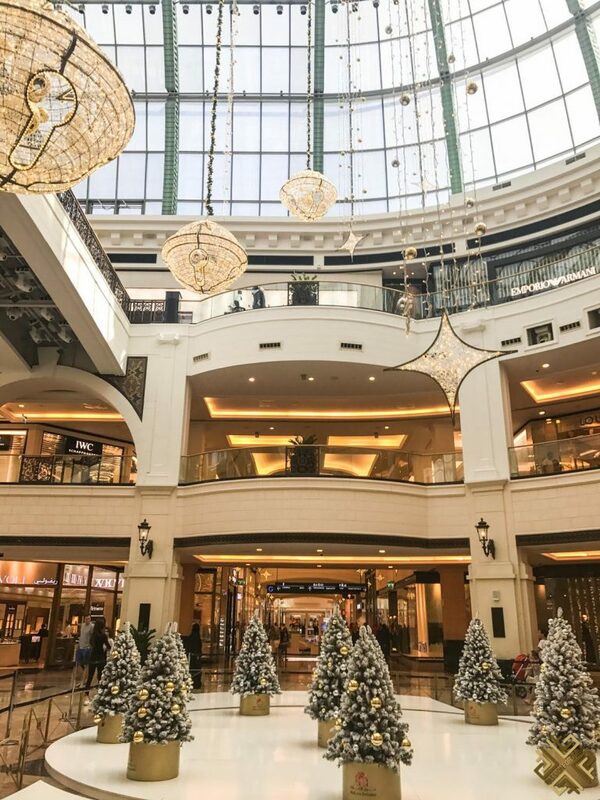 Spend your day skating along the Olympic-sized Dubai Ice Rink, visit the famous Galerie Lafayette and get lost in this shopper’s haven, reminisce over the 90’s at Sega Republic with its video games, and experience the lavishness of the Gold Souq. 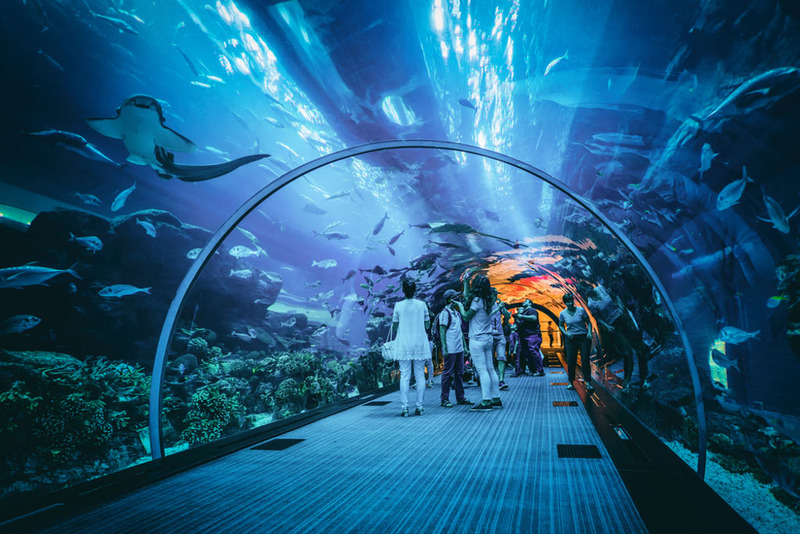 If you’re not going to be exploring Dubai Mall, make sure you at least visit the Aquarium. 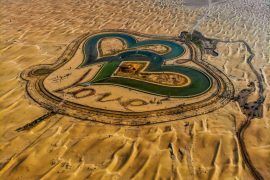 This attraction tops the list of things to see in Dubai every year and for good reason. There are over 33 thousand marine animals inside, and you check the five main areas of the Aquarium. You can go scuba diving, swim with sharks, explore all the species of fish, and learn about the incredibly unique life of this underwater world. 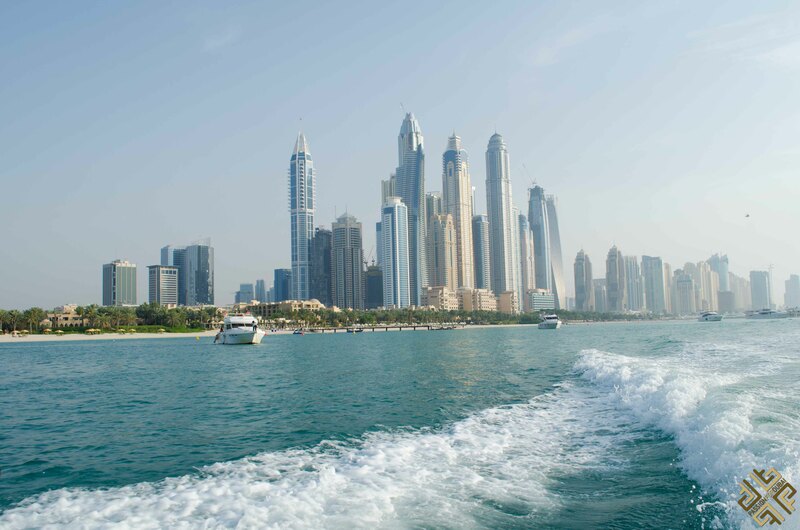 See two of Dubai’s most significant monuments with a combined ticket to the Dubai Aquarium and Burj Khalifa. Buy your tickets today here. Enjoy the interactive approach of the aquarium where you’ll get to interact with diverse ecological zones. Let go of your fear and dive with sharks! 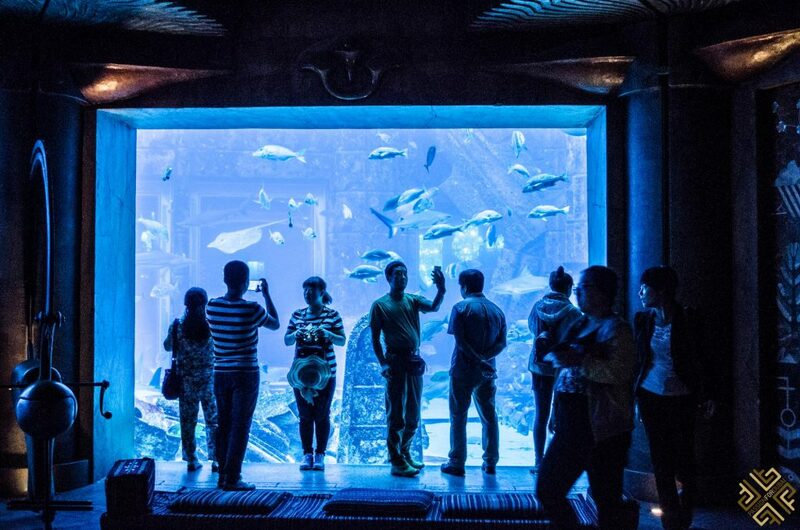 Have a cage experience and get suspended in water with sharks, crocodiles and manta rays. Take a boat ride on a glass bottom boat where you can see all the species floating majestically around and under your boat. Save time by pre-booking your Dubai Aquarium and Underwater Zoo: Day Admission Ticket online. 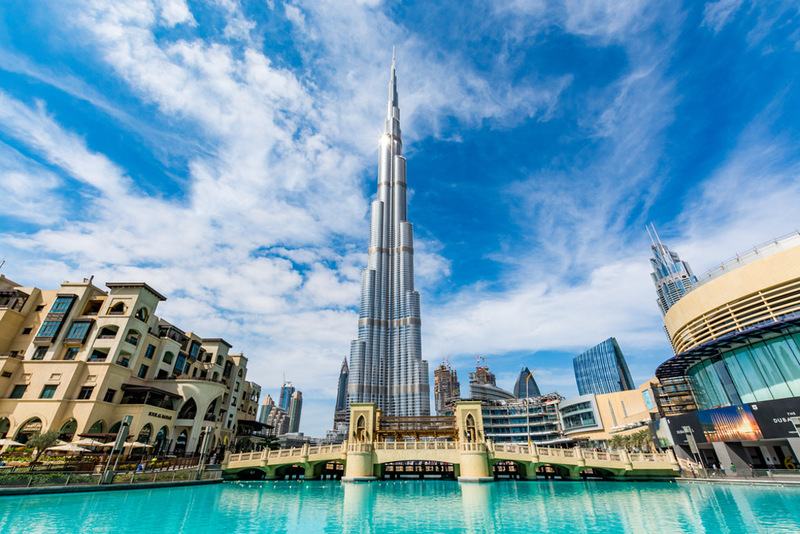 One of the top attractions in Dubai, the world’s tallest building and an iconic symbol of Dubai, the Burj Khalifa is worth all the hype that it draws in yearly. It rises majestically over the city like a futuristic sci-fi edifice with an impressive exterior and reflective steely armors. The attraction can be seen from many parts of Dubai, standing proudly, begging to be explored. Feel like you’re on top of the world as you climb to the 125th floor or the 148th floor and enjoying sweeping vistas of the entire impressive skyline. Make sure you time your visit with the sunset as the golden hues paint the skyscrapers and the skyline in shades of red, orange and yellow, and enjoy the shimmering changes of colors. The sound of Arabic tunes echoes through the hair every 30 minutes and the water splashes in choreographed fashion. It’s the largest of its kind in the world, and the show brings people of all ethnicities and nationalities together, huddled around the attraction, enjoying the beauty of the attraction. 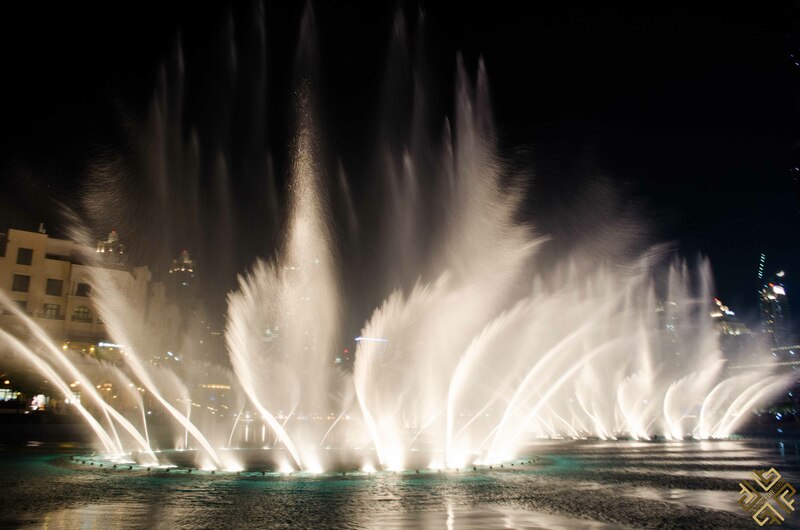 For an even more upgraded experience, enjoy a boat ride on the Abra and explore the lake with the backdrop of the dancing fountain. After a long day of going from one attraction to another, and exploring the top attractions in Dubai, unwind at Souq el Bahar. The epitome of Arabian designs, the true reflection of what an Arabian souq looks like and a place with an intoxicating oriental energy. Arabic-style markets, oriental architecture, stone walkways, high archways and unique textiles and shapes all decorate the place to give you an authentic, yet extravagant, feel of the place. 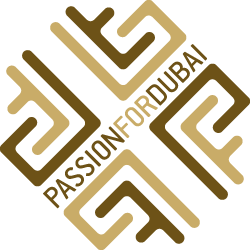 Choose one of the 22 restaurants that dot the place, and enjoy views of the Burj Khalifa and the fountain. 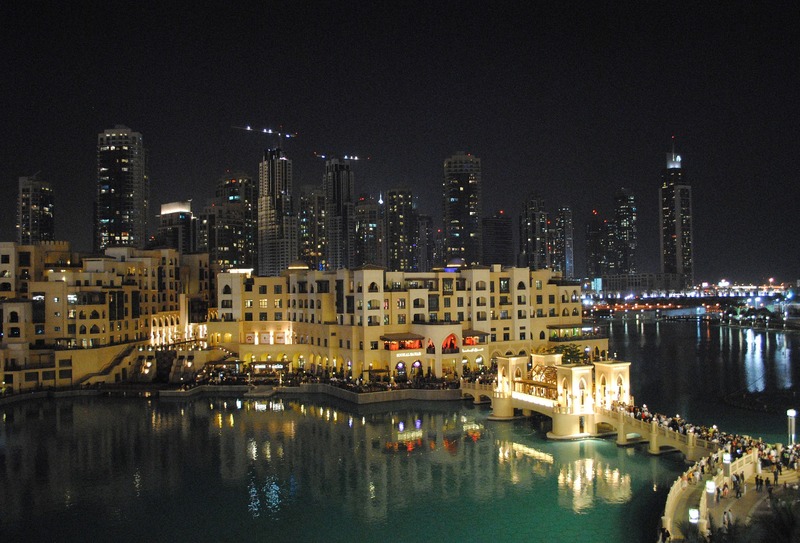 Many people claim that Dubai is “void” of culture, and they could not be more wrong. 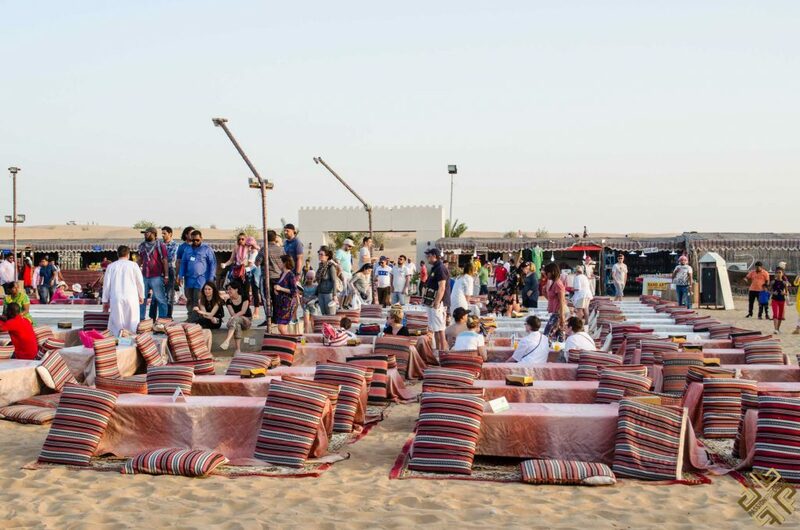 The Bedouin culture is still there as prominent as ever, and you can experience the “Old” traditional Dubai. Start your day very early so you can have time to admire the spectacular surroundings from the 27th floor of the Burj Al Arab, whilst enjoying a fantastic four-course French cuisine menu in Al Muntaha. Pre-book your experience here. If you want to get a taste of the authentic feel of Dubai then definitely head over to its Old Town where cultures and traditions intertwine, and the customs are showcased through souks and bazaars. 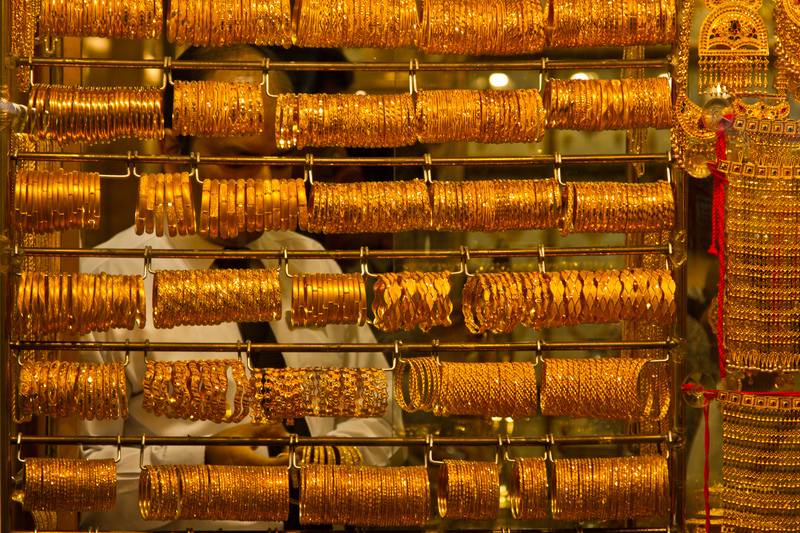 Gold Souq – some of the world’s cheapest gold can be found there. 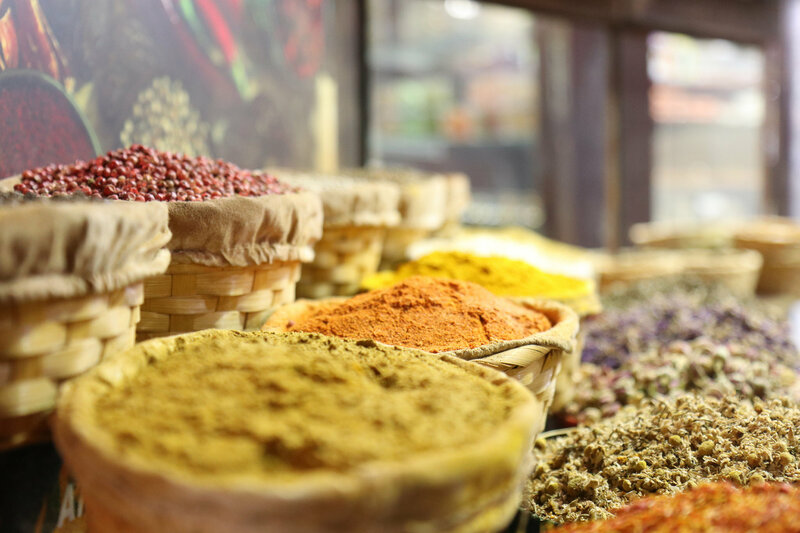 Grand Souq – Find a diverse collection of herbs, spices and fragrances. 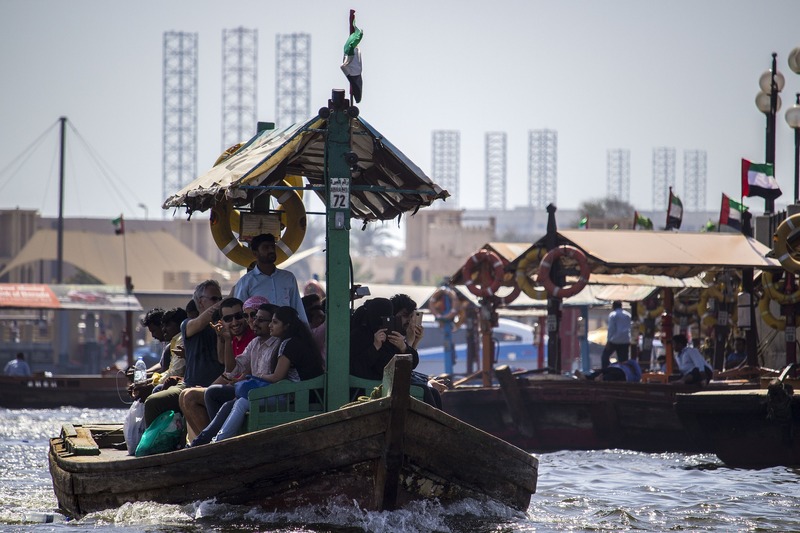 Dubai Creek – Ride an Abra through the lake. 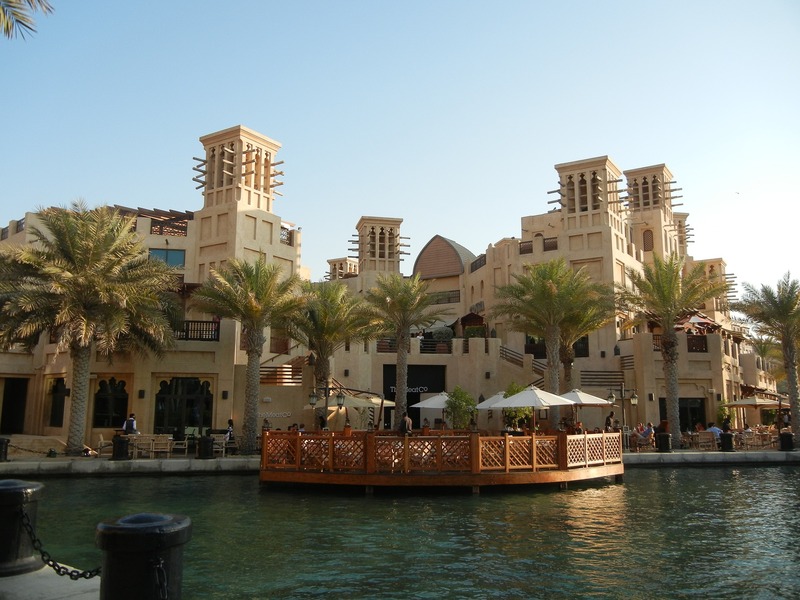 Dubai Heritage Village – Get a glimpse of Dubai before it’s extremely fast advancement into the future. 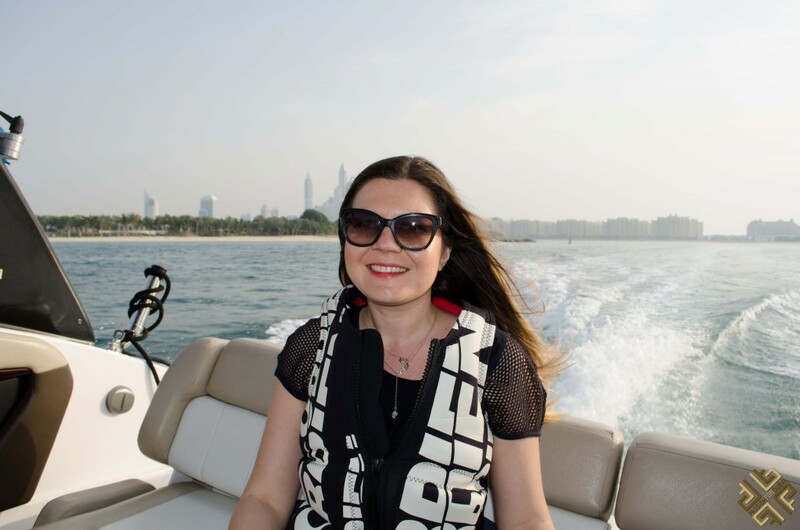 You might also like to Discover the real Dubai with a local guide. 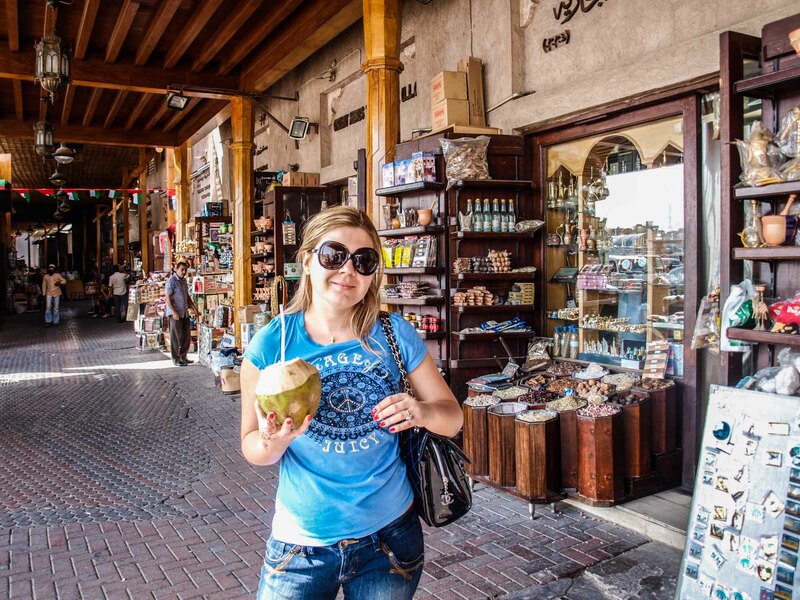 How about joining an Old Dubai Culture, History and Souks Walking Tour? A 15 minute car ride to…. Dubai is an Islamic city, and although that might not be quite obvious in this skyscraper-laden place, you can get a feel of true Islamic architecture at the Grand Mosque. 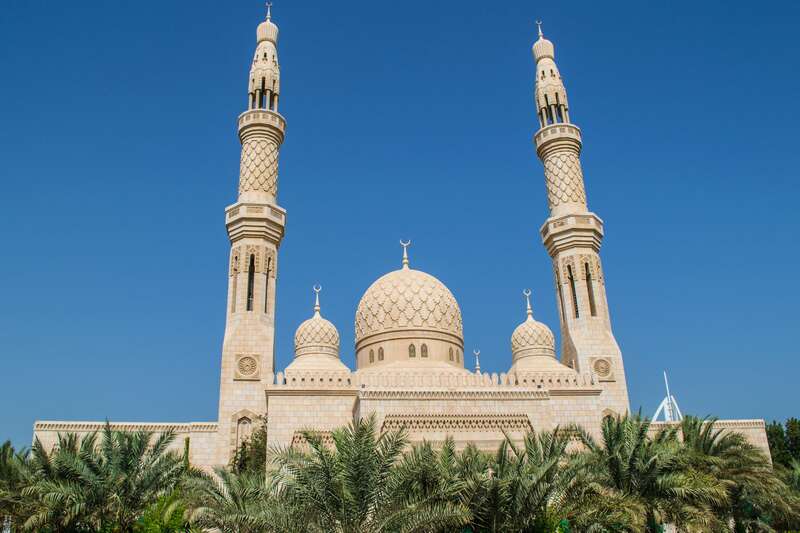 You’ll find white-washed marbles, 20th century designs, and the tallest minaret in Dubai. Enjoy the nine large domes, the muezzin’s minaret, the 45 small domes and the stunning arches and towers. Tours are available daily from 10 am except Fridays. Registration begins at 9:30 am and no pre-booking are required. Ticket price 25 AED, children under 12 are free. 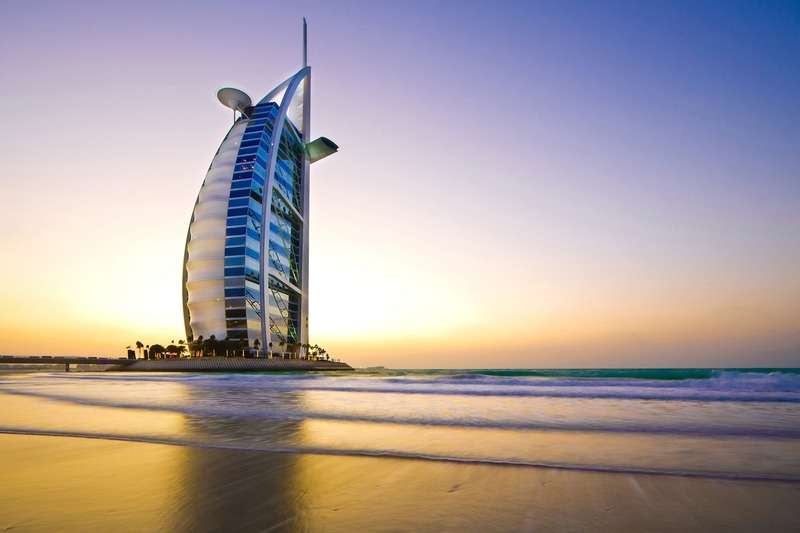 Head over to the highly extravagant Burj Al Arab and have your “afternoon tea” there. 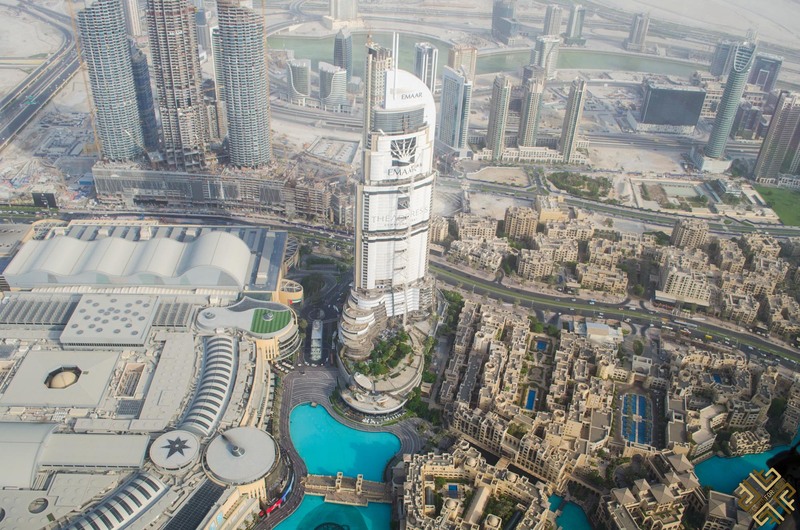 The world’s only 7-star hotel offers a multi-course experience high above the city of Dubai. The Skyview Bar hosts this afternoon tea with incredible vistas of the entire city bellow, and unlimited food and drinks. It’s romantic, luxurious and special, and it’s a beautiful place to be at sunset. 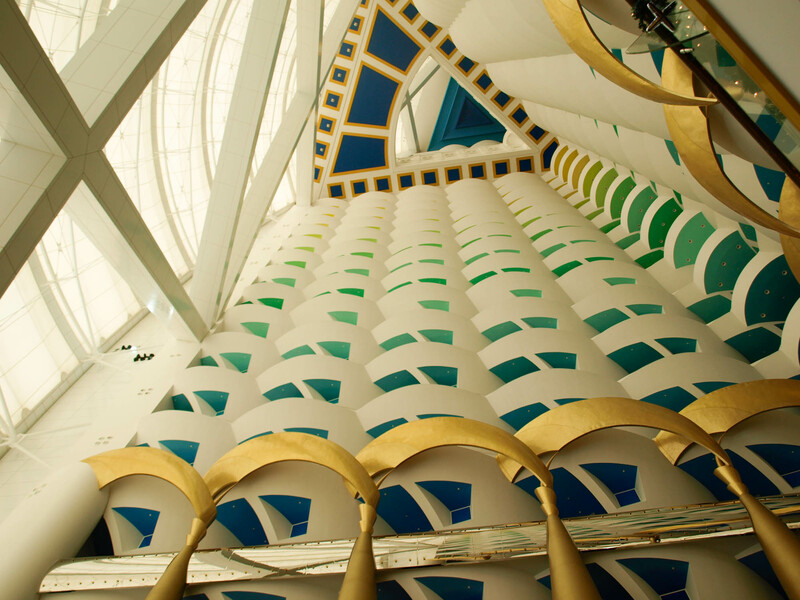 Indulge in the pleasure of a traditional high tea in the Sahn Eddar atrium restaurant at Burj Al Arab. Pre-book your high-tea experience here. There are millions of flowers in the park right in the heart of the desert. 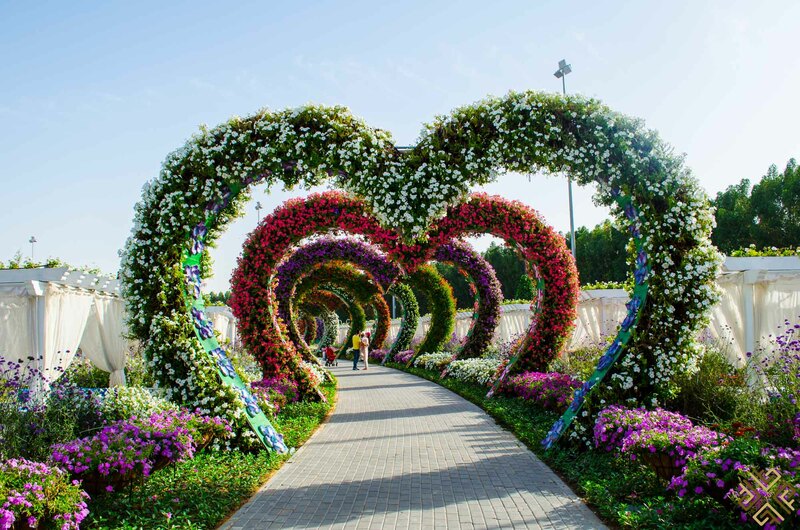 It feels like stepping into a Disney movie when you’re nestled in between floral-covered installations and structures that replicate major monuments in Dubai. You can also check out the indoors butterfly sanctuary to check out the 15,000 butterflies there. 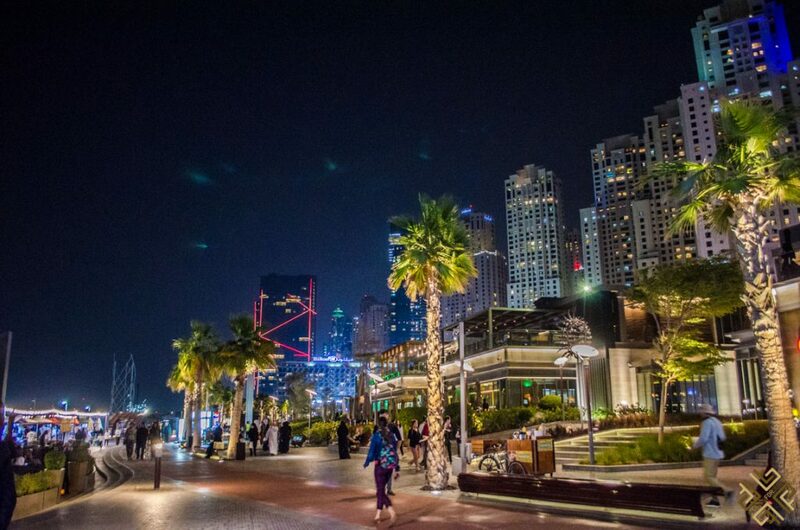 Have a fresh start at the Dubai Marina, one of the most luxurious promenades in all of Dubai. You’ll be surrounded by skyscrapers reflected upon the lake, with white yachts dotting the promenade and a wide array of places to have brunch at. 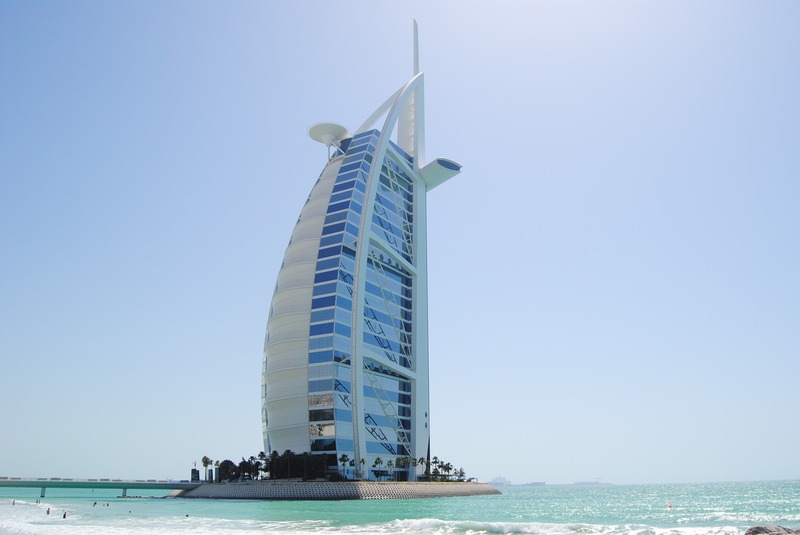 Take a thrilling 90-minute sightseeing tour by speed boat around the coastal landmarks of Dubai and get a view of the famous Burj Al Arab from the sea. Book your tour here. 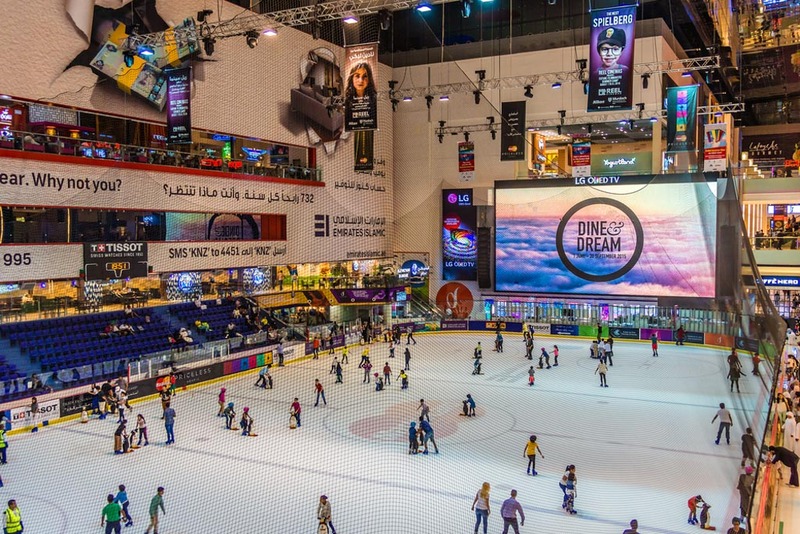 Another mall filled with activities, visiting Mall of Emirates is an incredible place to be at, and it’s s a crazy place to be at. Think ski slopes, ski bars, ski chalets, hundreds of stores, cinemas and much more. 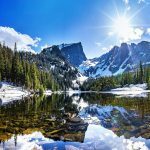 Find yourself lost in an unreal winter wonderland, where you can have snowball fights, rush down 7 ski slopes, try tobogganing, play in the snow or sip on hot chocolate at a café inside. It’s indescribable, the feeling of being suspended inside an ice-haven inside of a mall. 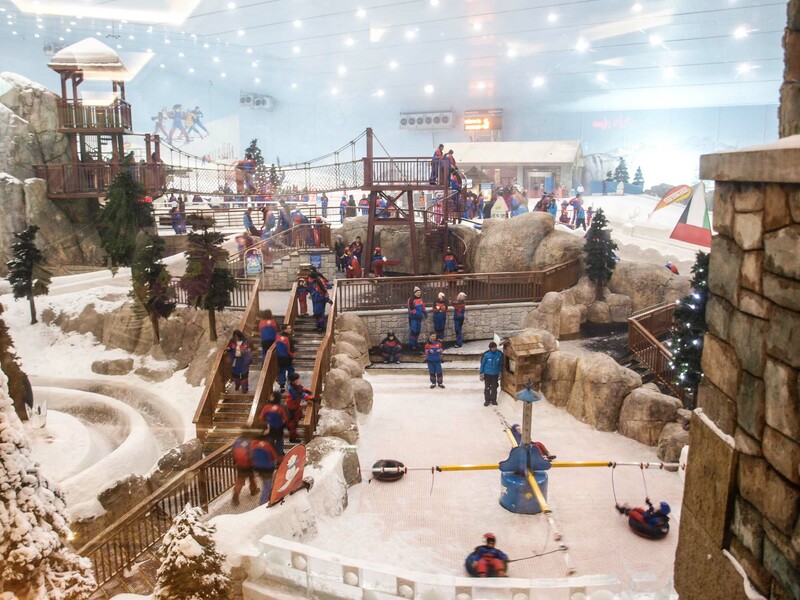 Experience the Middle East’s first indoor ski resort on a 2-hour or full-day pass. Pre-book your experience here. Get lost in an entire world at the Atlantis. 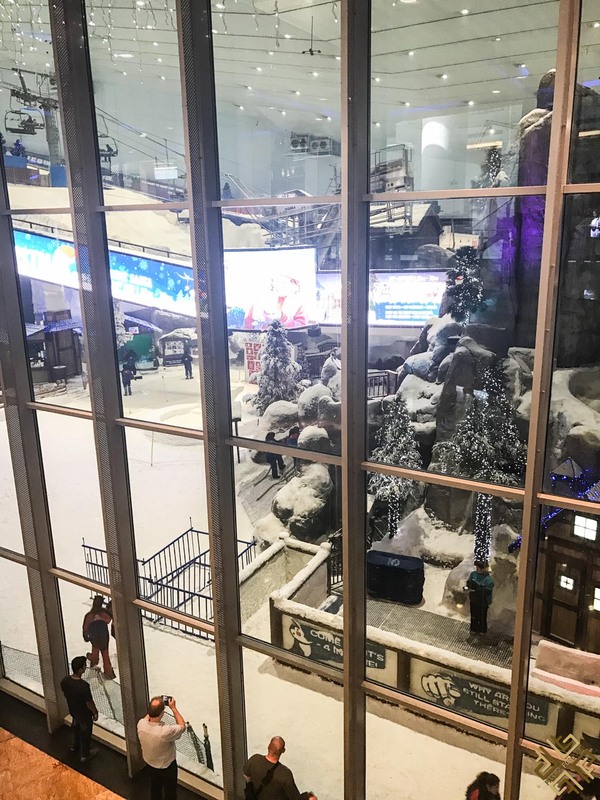 After experiencing the winter heaven in Ski Dubai, juxtapose this with a visit to one of the world’s most incredible water parks. 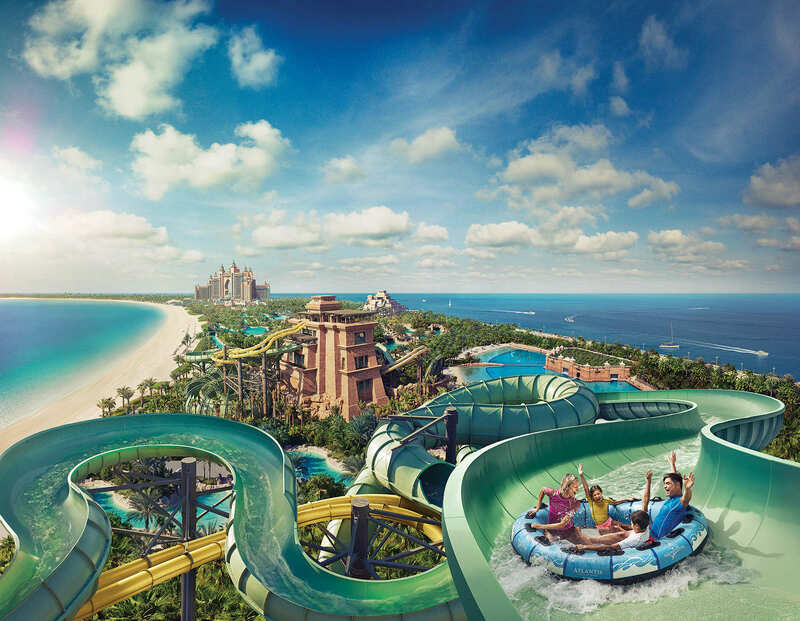 Aquaventure – This gigantic water park is a place you absolutely cannot miss. Go down slides, relax by rivers or even face your fears and plummet through shark-filled lagoons. Lost Chambers Aquarium – A themed aquarium with many interactive experiences.Book your tickets online here. Meet Sea Lions – Swim with dolphins for an unforgettable experience and great pictures to show your family back home!Pre-book your experience here. Aquarium Dives – Dive alongside 65,000 marine animals! This beach-facing development is a must-visit in Dubai. There you can find a wonderful beach promenade, golden sands and a bustling life all around. 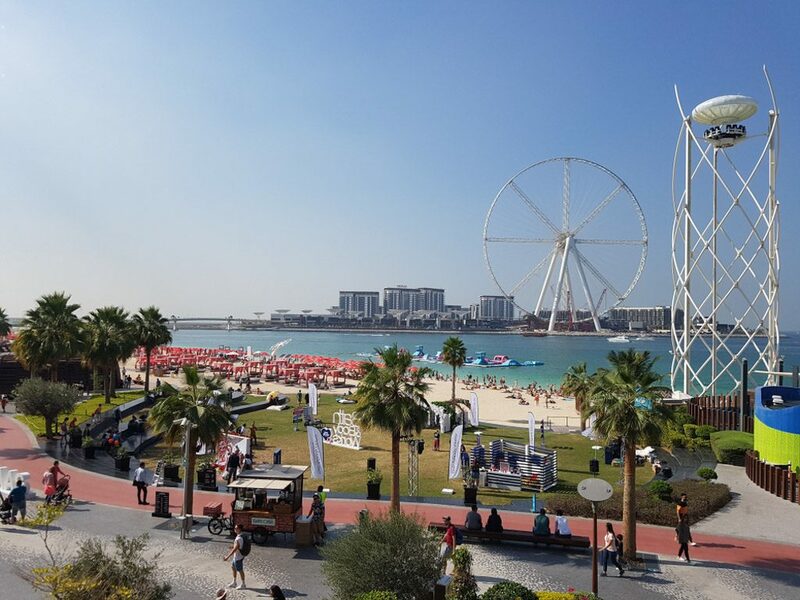 The JBR is a pulsating area of Dubai, full of vibrancy and life, and is enough to satisfy all your cravings – from fashion, food to relaxation. Check out the Covent Garden Market, visit boutiques, grab some food at a café, or watch a movie at an open-air cinema. 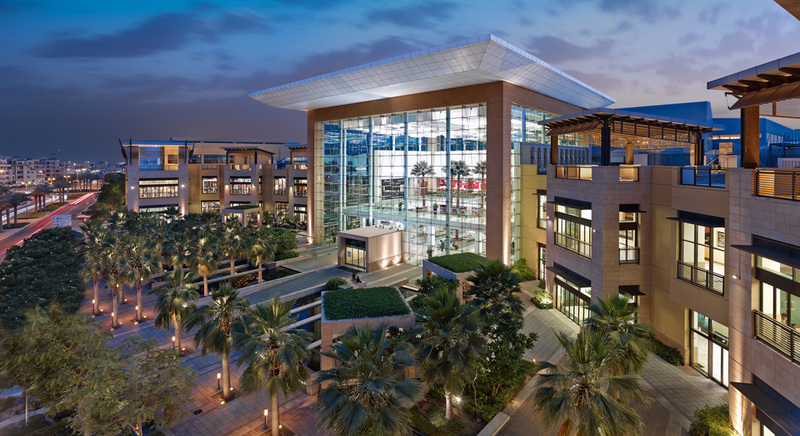 Mirdif City Center With over 430 stores, the Midriff City Center offers endless entertainment opportunities, from shopping, to going to relaxing spas. 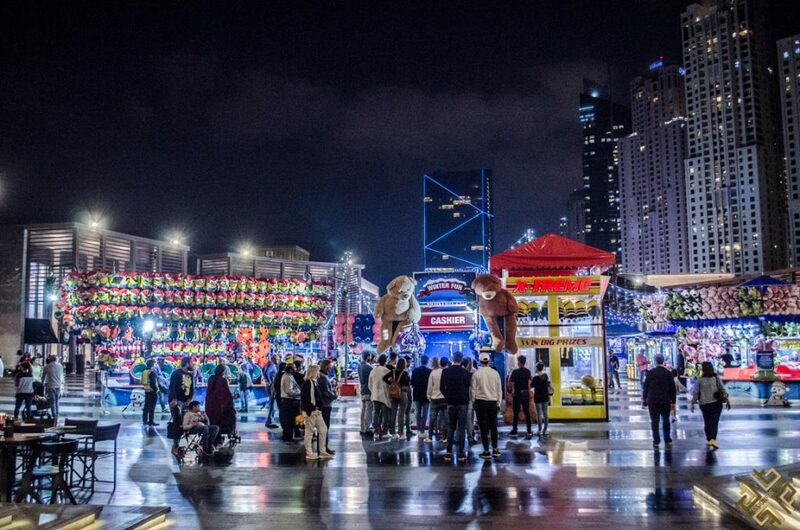 You can visit Soccer Circus Dubai, an interactive football attraction, go to Little Explorers, an educational center for children, or go for a bowling game at Yalla! Bowling. 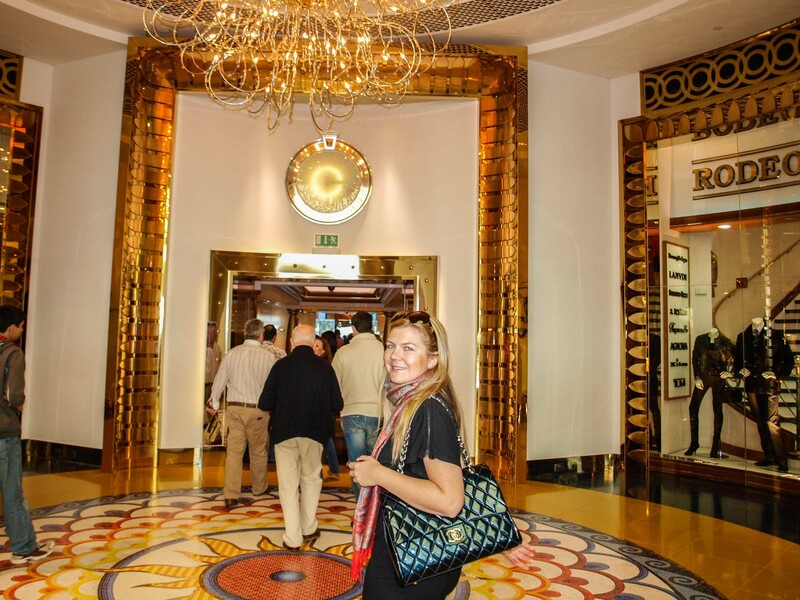 There are over 75 food and beverage outlets, and the entire shopping experience is simply unparalleled. Skydiving is on top of almost everyone’s bucket-list, and it is one of the most incredible adrenaline-pumping activities, however, it’s not always easy to gather up your courage and go skydiving. 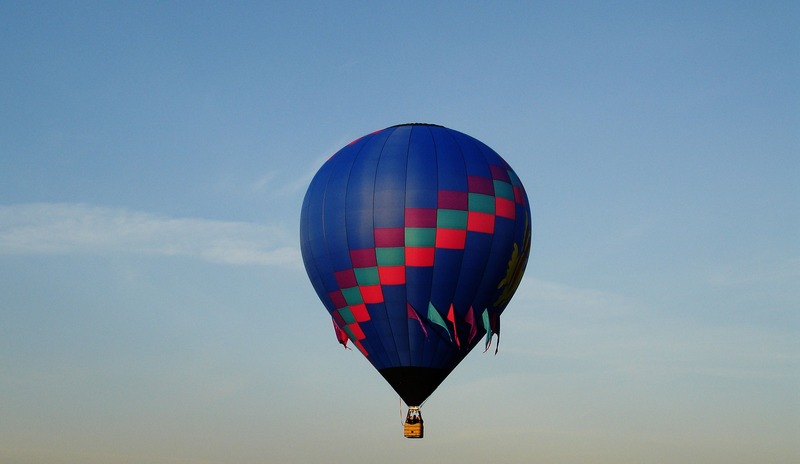 iFLY offers you the best alternative in this little indoor adventure. 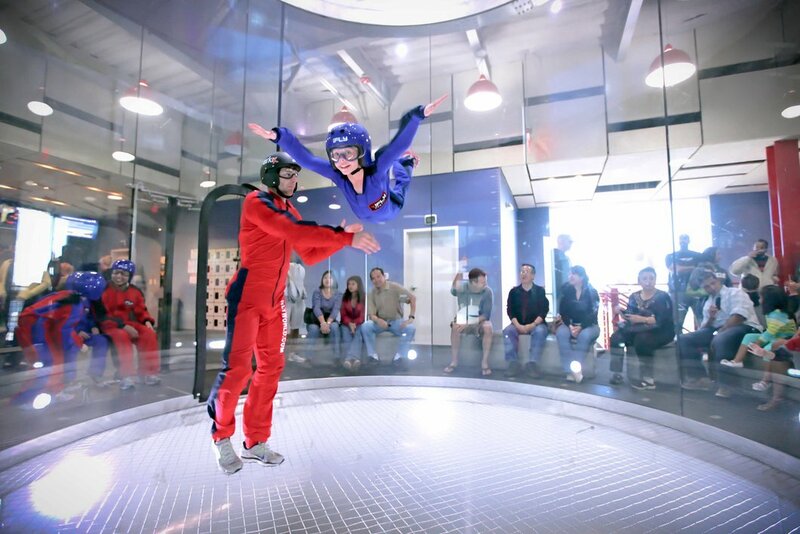 Defy gravity and float up an indoors wind tunnel, and feel the sensation of skydiving! It’s the ultimate activity suitable for people of all ages, so it’s a quite incredible family experience as well! For more family-packed activities check out our previous post on Top 10 Things To Do in Dubai for Families. 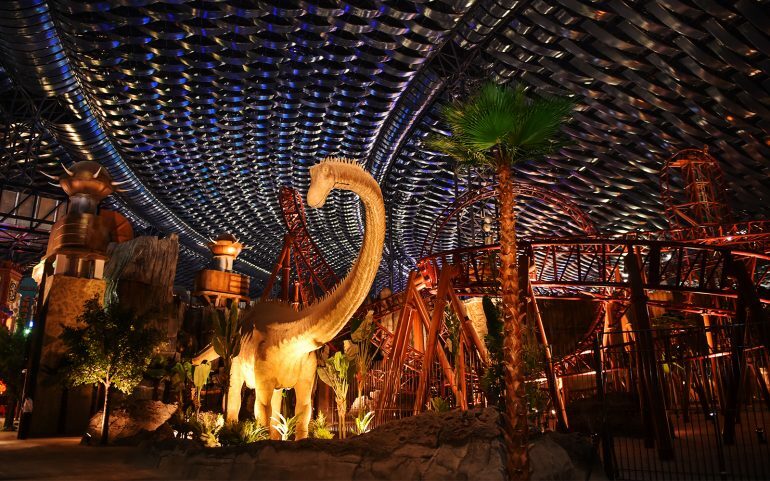 In a day full of fun and adventure, head over to the largest indoor theme park in the world. The theme park is as big as 28 football fields (you will get lost!) and offers 4 zones with different concepts and games/rides. The 4 zones are modeled around Marvel, Cartoon Network, Lost Valley Dinosaur Adventure and IMG Boulevard. The 17 themed rides are incredible to try. Spend the day on the rides and rollercoasters of IMG Worlds of Adventure in Dubai. Pre-book your tickets online here. Hot Air Balloon The closest you can get to a magical carpet ride over Dubai is by embarking ion a journey on a hot air balloon. 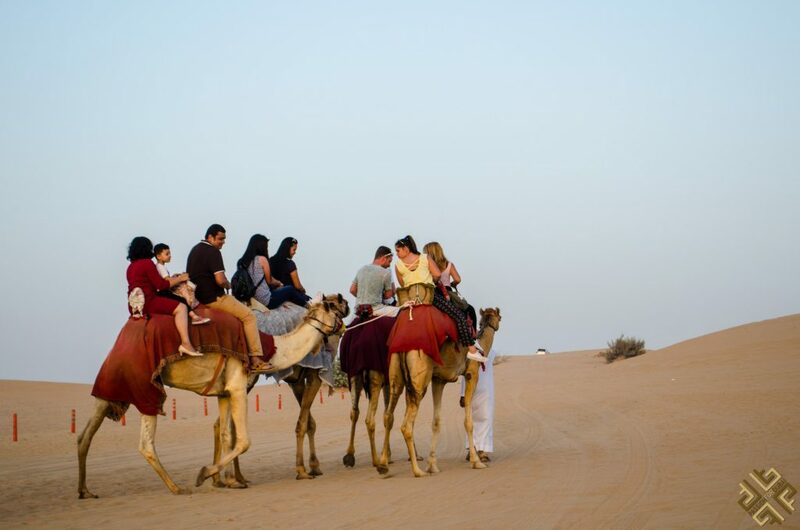 Float 1,200 metres above sand dunes as camels wander underneath you and the city rolls endlessly for miles. 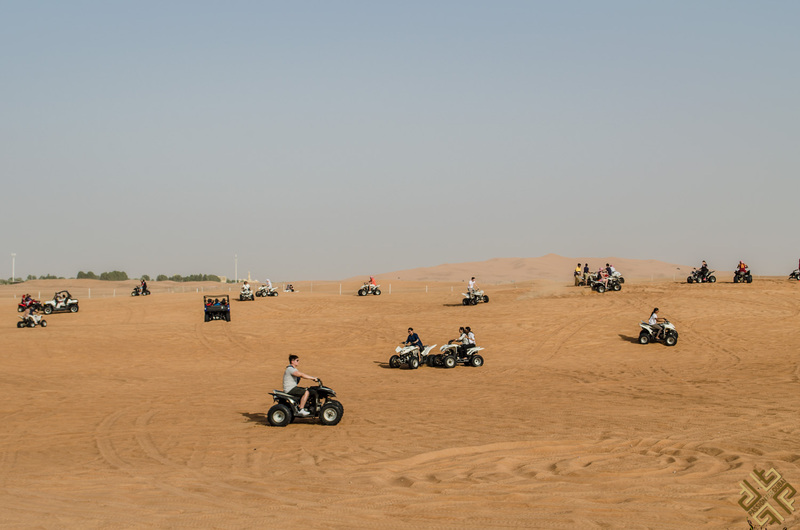 A tranquil experience as you soar over camels, gazelles, and the Arabian oryx. 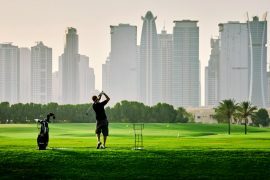 In the afternoon, experience Dubai at its rawest, most rugged form. 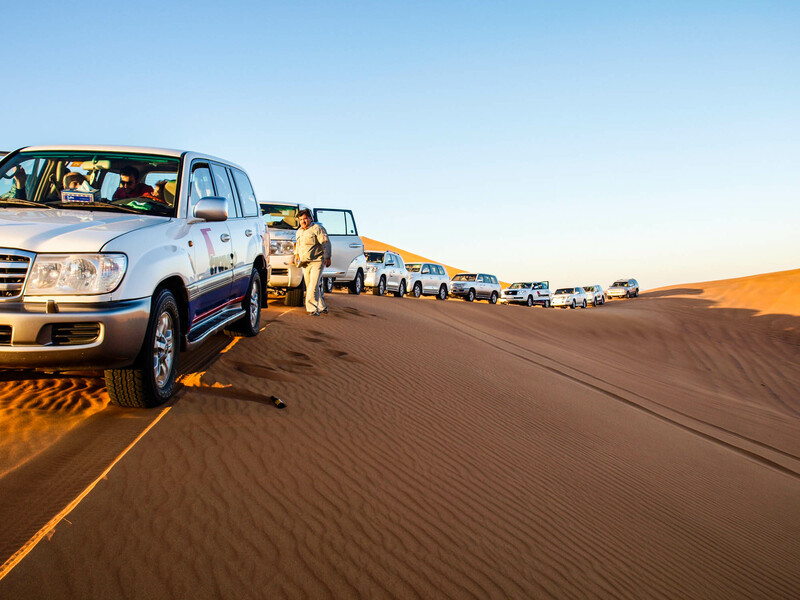 A 4WD adventure in the middle of the golden dunes of Dubai, camel dies, henna paintings and shishas will all add you to your authentic Arabian experience for the best 5 days in Dubai. Have a BBQ dinner under the stars as the moves of a belly dancer hypnotize your soul along with the echo of the Arabian drums. Book your Dubai: 6-Hour Desert Safari & Dinner at a Bedouin Camp here. If 11 restaurants and bars don’t sound enough for you, the Jumeirah Al Naseem boasts 3 pools and a private beach! This modern hotel is refreshingly contemporary with an incredible location right next to Burj Al Arab and the Wild Wadi. 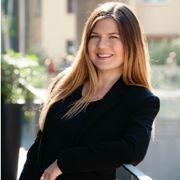 There are all types of services there with a friendly staff. If you’re into marine life, you’d be happy to know that there’s a seawater lagoon for rescued sea turtles there. The Four Seasons is simply lavish. Just the fact that there are 11 restaurants, loungers and nightclubs inside along with an entire souk should give you a gist of what it feels like to be there. The décor is modern and elegant with Arabic touches, and the service is exceptional. Expect to be siting by the pool and showed with complimentary food. 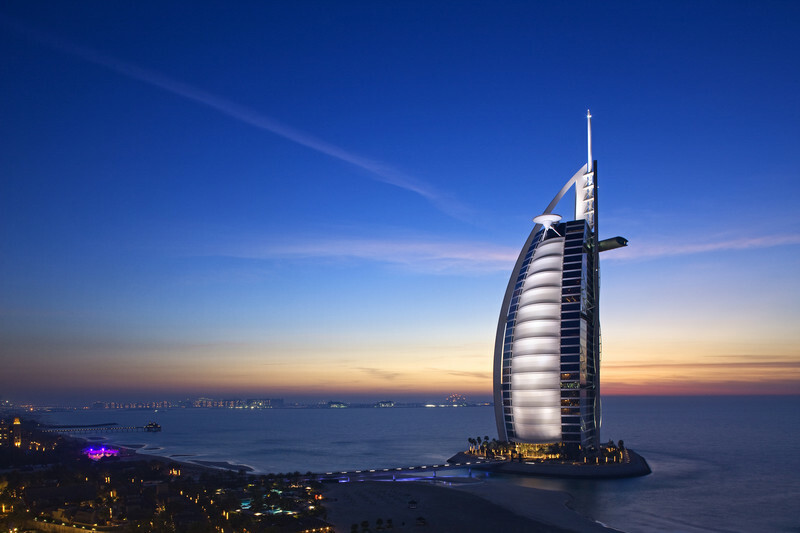 The rooms are some of the biggest in Dubai, and some either overlook the beach or the Downtown skyline. Enjoy the full marble bathtub, and the vibe of this homely yet luxurious property. The One & Only Royal Mirage is one of the top hotels in Dubai. Its location is perfect and juxtaposes the glittering lights of the Palm Island Bay and the skyscrapers of the Dubai Marina together. You can choose from 3 types of accommodation – the palace, the Arabian Court and the Residence & Spa. There are also a lot of chances for some quintessential Middle Eastern dining in one of its 8 restaurants. If you’re looking for a modern and spacious hotel that will give you exceptional service, great views with your rooms, a Michelin-starred restaurant, and perfect touristy locations nearby, then you’re in luck! 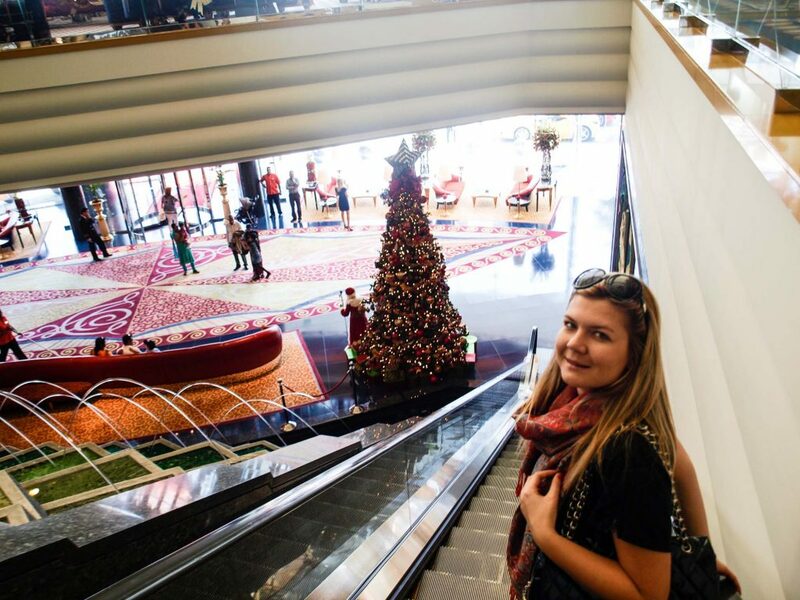 The Intercontinental Dubai Festival City is right in the middle of the Dubai Festival City with shopping malls and entertainment parks, and it’s right near the airport as well! 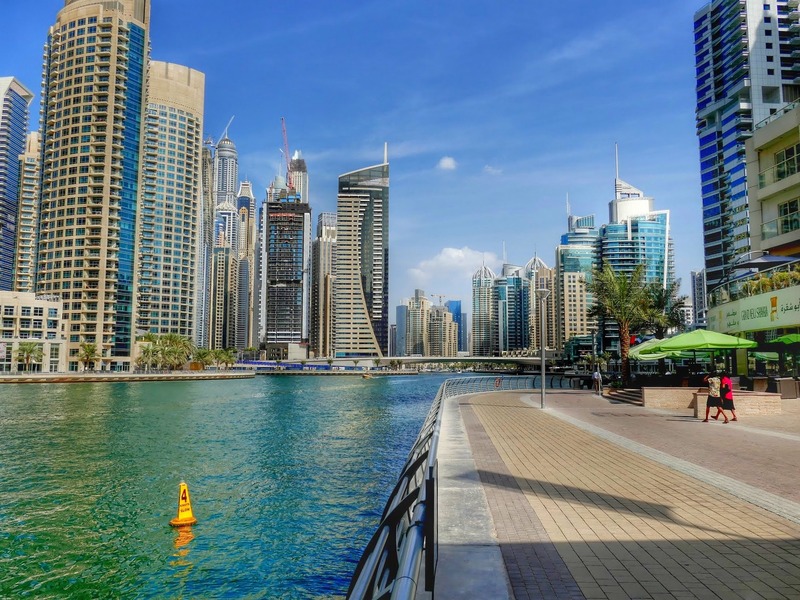 If you want to explore the historical part of Dubai rather than just it’s burgeoning skyscrapers, then you’d be happy to know that the hotel is right next to the Bur Dubai and Dubai Creek. The rooms are spacious and modern with views over the city and there are all sorts of services. You’ll find a bar, golf course, Michelin-starred restaurant with incredible seafood, high speed Wi-Fi, saunas, spas and a fitness center! Multiple restaurants, spacious bright rooms, gorgeous views of the Creek, and an exotic charm reflected by some authentic Arabic architecture – the Park Hyatt is worth its price. The location is ideal – 10 minutes from the airport, and 10 minutes from the Deira/Creek, and the multiple restaurants and bar will make you wanting to stay at the hotel all your trip! 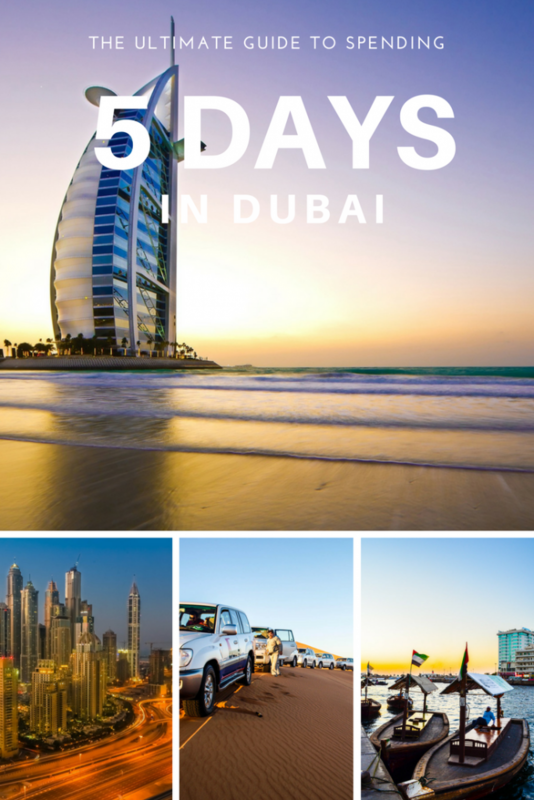 We hope that you find our guide to how to spend 5 days in Dubai useful. This was such a well written comprehensive guide! I love visiting Dubai and like to have my itinerary set before I go, but as much as I’ve done there I saw many things on here I’m yet to do. I like that everything is in one place, I’m definitely bookmarking this to book my activities through here and simplify my life tremendously! Thanks so much for your lovely comment Mara! Yeah Dubai always has new things, so the to do list is always being re-adjusted!